We hold municipal governments accountable when acting in violation of California State laws. CaRLA pursues legal action where developers have not, bringing suit against cities that fail to approve compliant housing. Rather than fight an unwinnable lawsuit, the City of Sausalito agreed to return our attorneys fees and grant David his project. The developer paid all of our attorney’s fees. We agreed not to appeal the trial court’s decision. CaRLA recovered $45,000 in attorneys fees. Cristian got his approval and has began construction of three homes where there were just one. 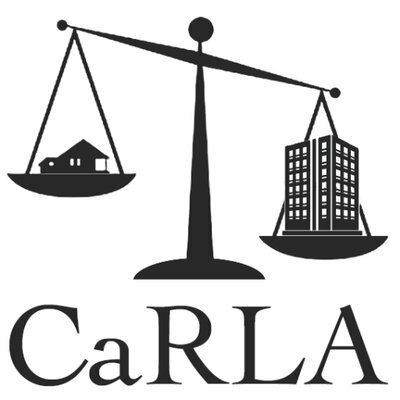 Legal expenses are a major contributor to the high costs of housing development; CaRLA seeks to combat this through free legal aid to homebuilders. Byzantine regulations create high barriers to entry in the field, leaving the development of housing only to those who can afford expensive lawyers and consultants. We particularly seek to support small projects – encompassing 3 to 10 units – whose development teams do not have the legal budget to appeal local rulings. Our support is free. Help keep it that way. CaRLA is sustained by your charitable contributions. If you would like to see us continue our work, please consider joining our growing list of supporters with a monthly subscription.